Ms. Juliette Biao Koudenoukpo, UN Environment Director and Regional Representative for Africa is a national of Benin. 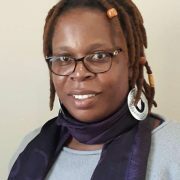 Ms. Koudenoukpo has a wealth of experience in international development assistance and 27 years of experience in environmental projects and programmes management. She has worked with a wide range of international organizations, including UNDP and IUCN, Stockholm Environment Institute, World Resource Institute, Nature Conservancy, and leading international institutions working in the area of environment, addressing sustainable development and poverty reduction. 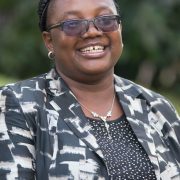 She has been involved in multi-country project design, development, management and resource mobilization in numerous countries within Western, Southern, Eastern, and Central Africa. 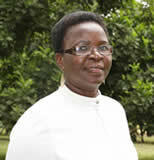 From 2007 to 2008 she held the position of Minister of Environment and Nature Protection for the Benin government. She also used to be Acting Minister of Family and the Child. Before joining UN Environment in September 2015, Ms. Koudenoukpo, was with Canadian Crossroads International (CCI) where she was the Director of Programmes, and with Canadian Center for International Studies and Cooperation where she was the Regional Director for Africa. 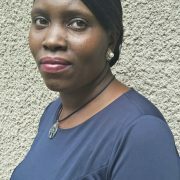 Ms. Koudenoukpo holds a MSc. degree in Forestry Economics, a PhD. degree in Public Policy and Administration, and an expert diploma in Renewable Energy. Dr Peter Sheard is the co-owner and founder of Trend 2000 Ltd. He has a first degree in Economics and Materials Technology and a PhD in Corrosion of Polymer Composites. 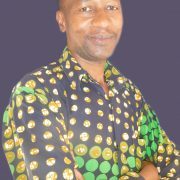 Peter has published over 40 articles in journals, conferences, seminars and books. Since 1988 Peter has initiated and managed over 50 multi-national development consortia within various national and international initiatives concerning the selection, design and processing of polymeric composite materials and construction industry applications. Peter has been regularly assisting universities and SMEs across Europe with innovation planning and training/mentoring for the development of proposals under the European Commission Framework Programmes and Structural Funds across a wide range of technical and scientific disciplines. During the last 15 years Peter has developed and delivered in excess of 150 training events to universities, RTO’s and enterprises across the EU and Associated Countries. Peter has been instrumental in providing focused training on preparing for and writing applications for H2020 funding across all subject areas including Engineering, Life Sciences and Social Sciences. 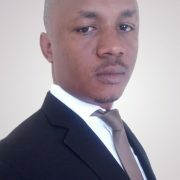 He has developed and delivered specialist training programmes for preparation of project budgets, effective administration and management, development of leadership skills, motivation and communication techniques. He works with a wide range of international universities to assist with training and mentoring proposal writers as well as undertaking pre-evaluations of proposals to improve their quality prior to submission. He has also spun out and operated several manufacturing SMEs set up to exploit the results of international research. Peter is regularly contracted by funding agencies to work as an evaluator in the H2020, Eurostars, Czech and Danish National programmes. He also acts as a Reviewer of funded projects. 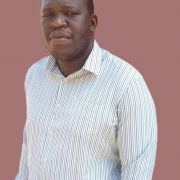 He has completed assignments within the SME programme and is also retained as the Project Technical Advisor on 10 projects within the Nano Materials, Factories of the Future and Energy Efficient Buildings programmes. 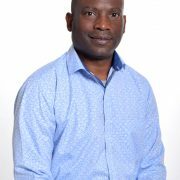 Adedoyin Adeleke is a sustainable energy researcher and currently pursues a doctoral degree under the UNESCO Chair in Energy for Sustainable Development at the Department of Energy, Politecnico di Milano, Milan, Italy with a scholarship from the Italian Government. Adedoyin holds a bachelor’s degree in Mechanical Engineering from Obafemi Awolowo University, Ile-Ife, and a multidisciplinary master’s degree in Energy Studies from Nigeria’s Premier University, University of Ibadan, Ibadan, both in Nigeria. His interest in using theoretical knowledge to impact social and economic development led him to co-invent a 10-seconds chicken de-feathering machine during his undergraduate studies. As his master’s dissertation, he researched on the “Sustainability of Solar Mini-Grids in Nigeria” profiles factors responsible for failure and success of solar mini-grids in Nigeria. 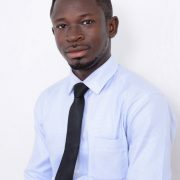 Adedoyin has also received numerous awards for his excellent educational performance including the Federal Scholarship Board Undergraduate Award (2009-2012) which funded his undergraduate studies and the MacArthur Foundation Grant Scholarship (2015 – 2016) at the Centre for Petroleum, Energy Economics and Law, Ibadan, Nigeria for his master’s degree programme; Fellowship from the German Government for the 69th UNEP/UNESCO/BMUB International Short Course on Renewable Energy and Energy Efficiency, and Italian Government Scholarship for his Doctoral Study, among others. He has also received a number of travel grants from the Royal Academy of Overseas Science, Belgium, Centre for Petroleum, Energy Economics and Law, University of Ibadan, Nigeria, among others. 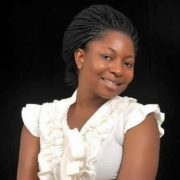 Adedoyin is also very much engrossed into volunteering and championing causes for educational development. While on National Youth Service in Kano State, Nigeria, he initiated and organised six different education-based community development programmes which directly benefitted more than 800 high school students and many others were indirect beneficiaries through his weekly radio and television programmes in the state. 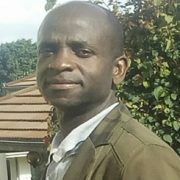 Funded by a fellowship from the German government, Adedoyin was one of the 21 young sustainable energy professionals that participated at the 69th UNEP/UNESCO/BMUB International Short Course on Renewable Energy and Energy Efficiency in 2016 at the Centre for International Postgraduate Studies of Environmental Management (CIPSEM), Technische Universität Dresden, Dresden, Germany in 2016. He has also participated in many conferences, workshops and summer schools on diverse sustainable energy topics in various countries. He served as a Lead Country Contributor for the Paris-based Renewable Energy Policy Network for the 21st Century (REN21) in preparing its 2017 Global Status Report on Renewable Energy. He also served as a Contributor to the 2017 1 Gigaton Report which tracked contributions of renewable energy and energy efficiency programmes in developing countries to reducing global greenhouse gas emissions, among other contributions to causes for sustainable energy development globally. Adedoyin says 'Africa is too Rich to be Poor, I choose to Act'. 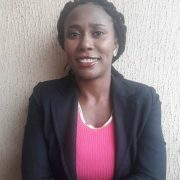 Oluwadamilola Pikuda is currently pursuing her PhD in Chemical Engineering (with specialization in Green Nanotechnology), at the Biocolloids and Surfaces Laboratory, Department of Chemical Engineering, McGill University, Canada. 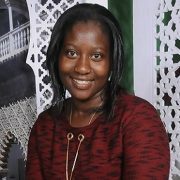 She obtained her Bachelor’s degree in Chemical Engineering from Obafemi Awolowo University, Ile-Ife, Nigeria and a Master’s degree in Chemical Engineering, at the Institute Center for Water and Environment (iWater), Masdar Institute of Science and Technology, UAE, where she worked on Semi-Conductor Thin Films for Solar Light Activated Glass. She is a past recipient of several prestigious scholarships such as Carnegie Female Merit Award, USA (2009-2012), Federal Government Undergraduate Scholarship, Nigeria (2009-2012), Masdar Institute Scholarship, UAE (2015-2016), and currently McGill Engineering Doctoral Award, Canada (2017 – date). 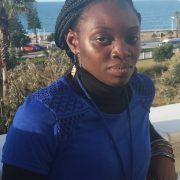 Oluwadamilola’s research interests are photocatalysis, material science, sustainable environment and nanotechnology. Her present research is aimed at developing materials for cleaner and more sustainable environment through instant water filtration system to make portable water more accessible especially in sub-saharan Africa. She has presented her research work at different conferences across the globe, and published several peer-reviewed publications. Oluwadamilola is also an active member of Nigeria Future Energy Group (NiFEG) which is a non-profit oriented organisation with a focus on providing expertise in the applied energy field. NiFEG promotes sustainability whilst proffering solutions to localized energy problems. Among the successful projects of the group is powering the Kanji and Wolfson lecture halls in Ahmadu Bello University,Nigeria using solar PV panels, as well as providing training sessions on PV panel installation to the university students. 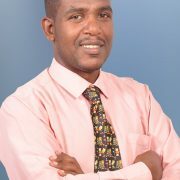 The Webinars trained, refreshed and oriented me on : sustainable energy and environmental sustainability. From the webinar, I learnt more on the energy-food nexus and the essential role of energy access to increase food production and improving human health. The webinar on professional communication skills and ethics was also very enlightening and informative on how to work with my mentor and for other career engagements. The Mentoring Research Programme (MRP) Webinar is the most educative and structured webinar I have attended so far. The webinar was very informative, easy to follow and interactive. It has a first relevance to my career needs as I learnt a lot about sustainable energy, environment and climates, especially as it relates to Africa. I also learnt effective ways of communicating academic ideas and how to be a good mentee, all offered at no cost. The webinars offered an all-round approach to sustainable energy and climate research. The content discussed equipped me with adequate information to identify research gaps in Africa’s energy and environmental sustainability issues and motivated me to increase my participation in ensuring the sustainable provision of energy in my continent. An important take-away from the webinar series was: A good researcher is an effective communicator. The presenters are really knowledgeable, very experienced and very innovative in their way of thinking. 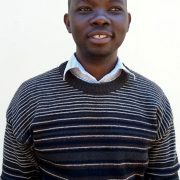 I was inspired in general with the whole thinking behind sustainable energy issues and ‘Africa being rich to be poor’. A big thanks to the whole ISNAD-MRP initiative. It has been a serious eye opener for me in terms of, what is really happening in sustainable energy, climate resilience and what the young students/scientists and practitioners on this program are trying to do about these issues. The Mentoring for Research (MRP) webinar re-oriented me to focus on finding solutions to African energy deficit and environmental degradation challenges through sharing responsibilities as the fulcrum of my research works. The webinars instilled in me research ethics and style of pitching of my ideas to people I want to work with. Finally the webinars coached me on maintenance of a healthy and productive relationship between me and my mentor. The Webinar series were very educating. It was a great opportunity for me to understand the key challenges research and developmental efforts are facing in Africa. Dr Peter Sheard on his Persuasive writing basics and tools talked about my “Audience” as a writer in a way I have never thought about it. I also learnt how to communicate effectively as a mentor and I am very sure that will help me to be a good mentor in the nearest future. The presentation by Dr. Juliet Koudenoukpo on “Environmental Sustainability in Africa” caught my attention. Particularly when she stated that up to 28% of diseases in Africa are associated with environmental pollution. In my view, this is as a result of over dependence on climate sensitive sectors by not only the rural population as she motioned, but also the urban population. This challenged me to think how I can contribute to the legacy of conserving the natural resources for future generation. 2018- Mentoring for Research Programme (MRP) webinar was very informative, constructive, well planned and relevant to me as I learnt the relevant empirical facts from the presentation on the Africa’s Energy Landscape: Prospects, Status and Challenges, and Environmental Sustainability in Africa that helped me to improve my research proposal on the climate change management. Furthermore the webinar equipped me the useful skills on both formal and academic communication. The Webinars were very educative I highly appreciated Dr. Juliette Biao Koudenoukpo from the UN who articulated challenges with evidence affecting the environment in Africa, gave hope by mentioning opportunities and generally encouraged transdisciplinary research taking cognisance of Research, Policy and Practice. I also appreciated the tips for effective communication skills. I benefited a lot from the webinars especially that on Africa’s energy landscape: prospects, status and challenges. The contributions made here by Mr Adedoyin on Africa’s prospects in the energy sector made me realize the biggest challenge we have is that of having good governance that implements policies that optimizes natural resources in line with sustainable development. This also, got me thinking on the place of women in the energy sector for gender equity. The most inspiring webinar for me is the one that we had on “Essential Skills for Effective Research Communication” by Oluwadamilola Pikuda. This presentation was quite useful in this day and age, where a lot of people are tempted to use shortcuts with regards to words which may make the communication unpalatable. Thank you again for the very educative webinars. The webinars were very educative, informative and inspiring. The webinar presentation by Adedoyin Adeleke provided important insights to ensure my research is industry relevant and problem solving. The webinar on persuasive writing by Dr. Peter Sheard on the other hand brought out important tools and insights to persuasive writing. This webinar was a vital eye opener as it shed more light on what I should do to ensure I communicate effectively my research findings to my intended audience. All the presenters were very eloquent and easy to listen to. The content, though complex was presented in simplicity making it easy to follow and understand. I got to understand that for development to be sustainable, energy must be sustainable. 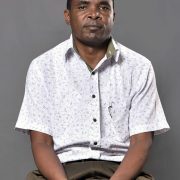 My eyes opened, now I notice opportunities in my village to reduce Green House Gas emissions and access clean energy. The statement made by Adedoyin Adekele that Africa is too rich to poor has remained a highlight for me. The ISNAD-MPR Webinar series were very beneficial and useful. In particular, the presentations by Dr. Peter Sheard on Persuasive Writing and Ms. Dami Pikuda on Essential Skills for effective Research Communication changed significantly the way I used to write and communicate with various people. The presentations helped me to correct mistakes I used to make in proposal writing and formal communications. Generally, ISNAD-MPR webinar series equipped me with skills that cannot be obtained in classroom. The webinars organized by the Mentoring Research Programme (MRP) was structured to address issues relating to all aspects of life. The various webinars were educative, interactive and very easy to understand. I learnt a lot on the webinar on Environmental Sustainability in Africa as it addresses issues relating to sustainable energy, environment and climate. The most informing part of the webinar which I learnt so much was handled by Ms. Dami Pikuda during the webinar on Essential Skills for Effective Mentoring Relationship. I have benefited from the webinars organized especially on how to work with my mentor and for other career activities. The webinar is very informative, energy and time saving since we have able to attend the training everywhere without any cost. It is offered about the Africa’s Energy scenarios and how the traditional energy affects Environmental Sustainability. Therefore, the training has been provided the possible solution for the sustainability of the environment via substitute the traditional energy by renewable alternative energy sources. The webinar is provided me a communicate skill with scholars. Moreover, I improved mailing communication skill with my mentors.